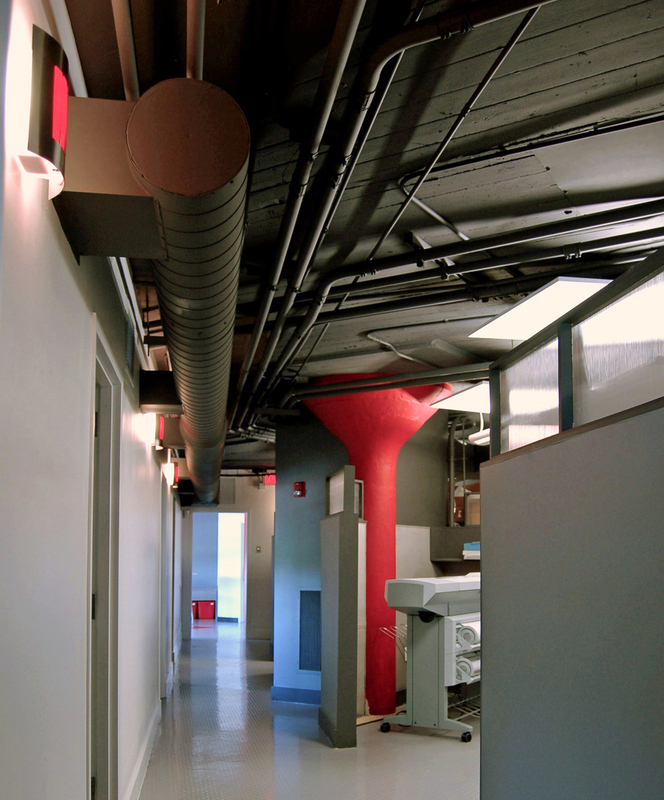 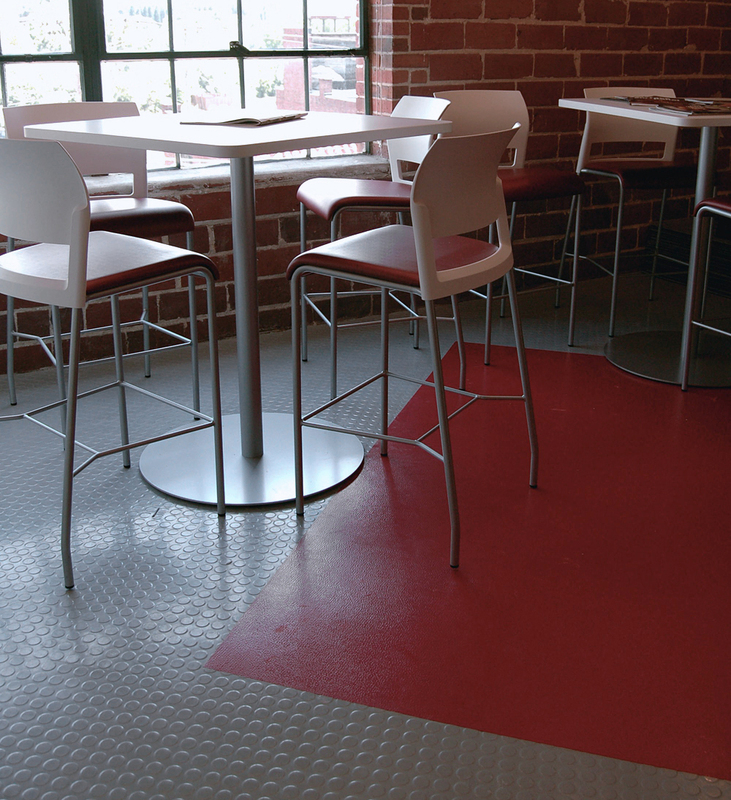 The concept for the design of this industrial space was derived from a 7-degree angle off-axis shift discovered while studying the floor plan. 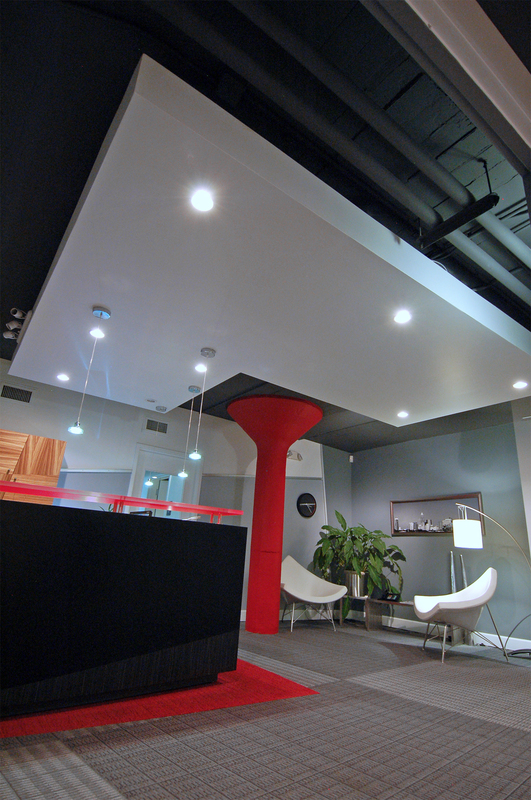 This angle was then applied on differing planes throughout the interior for wall graphics, floor patterns and the proportions of the custom designed reception desk and floating reflector clouds over the studio space. 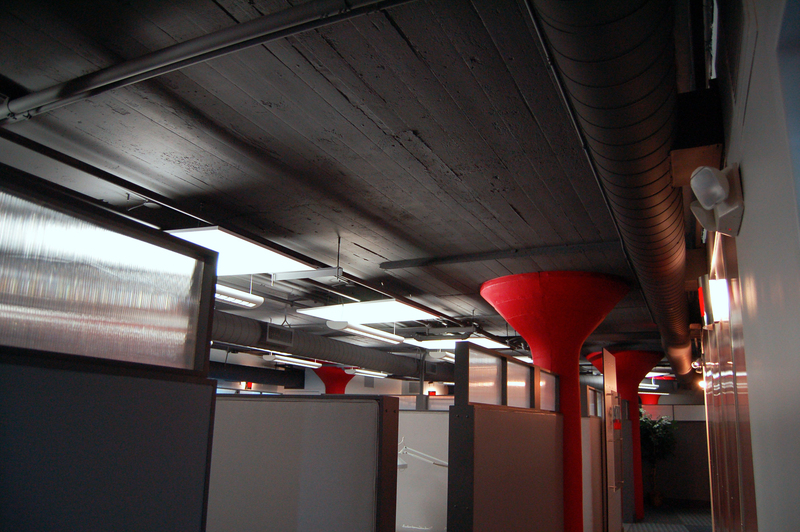 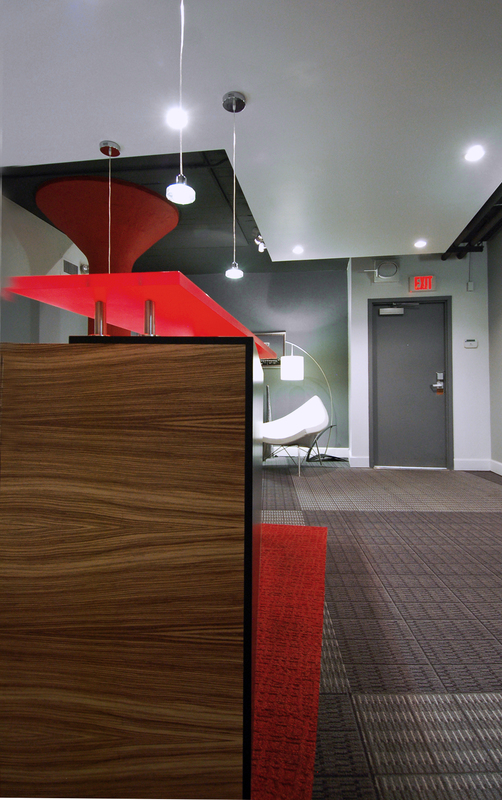 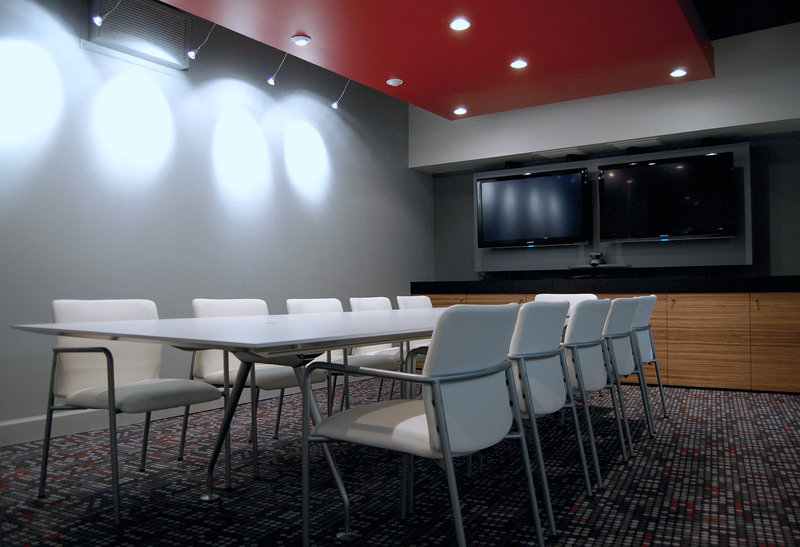 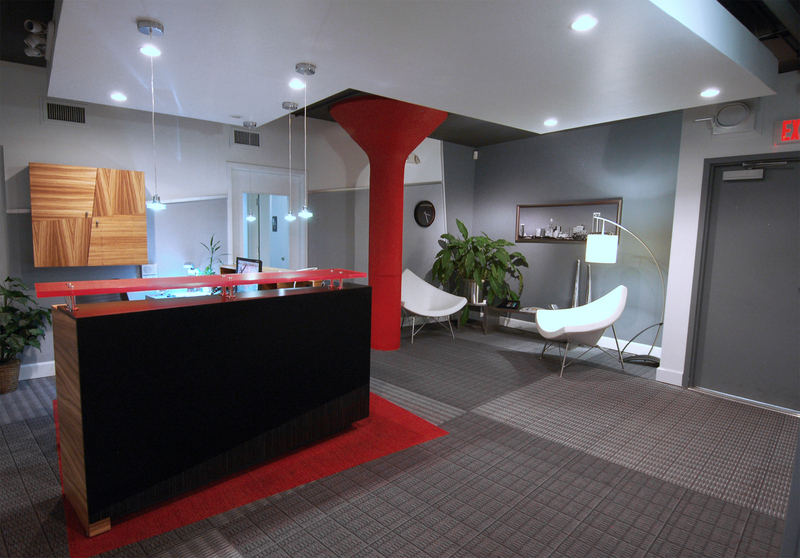 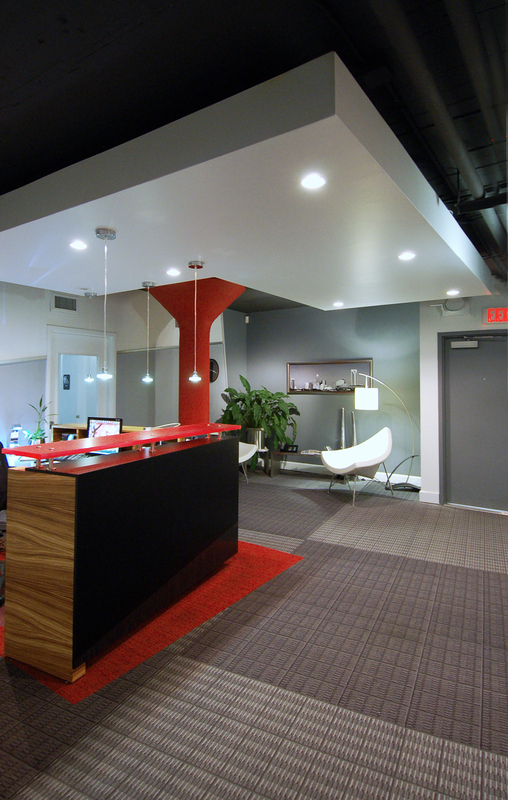 Shades of red, gray and white reflect the company Corporate colors.